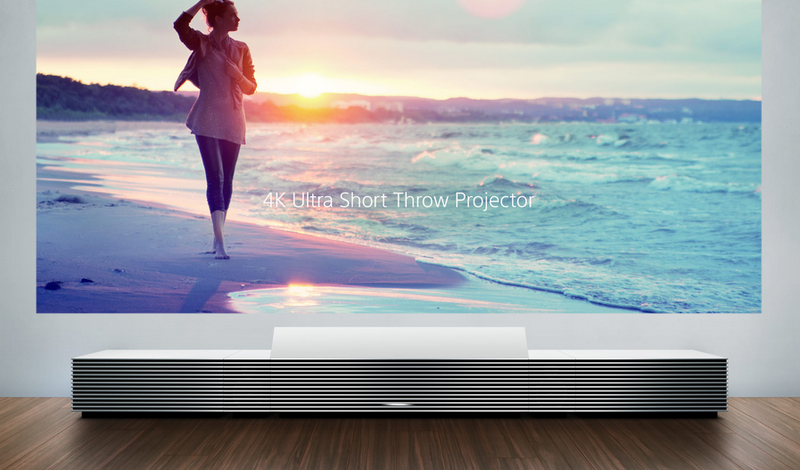 Sony just announced a super slick projector called the 4K Ultra Short Throw Projector that'll be able to turn any wall into a 4K display. It's a part of Sony's new Life Space UX What's cool about the projector is that it's placed right next to a wall instead of behind your head. And that it uses lasers! It's a bit of the future and the Ultra Short Throw Projector is supposedly coming out this summer (for a future worthy price of $30,000 to $40,000). Sony says that installing the projector is as simple as setting it "right next to a wall". The idea is that it'll look more like a piece of furniture (like a TV console) than a piece of technology. Only a piece of furniture that uses future tech. Sony will also have speaker systems and cabinets that match the aesthetic of the projector too. Learn more about the projector here at Sony.